For 30 years Sayre Enterprises has designed and manufactured products to promote pride in our customers' service and provide for their comfort, convenience, and safety. Sayre Enterprises began with one product made in our garage while Scott was serving in the U.S. military. We are proud of what we manufacture in America. Let us customize your purchase! 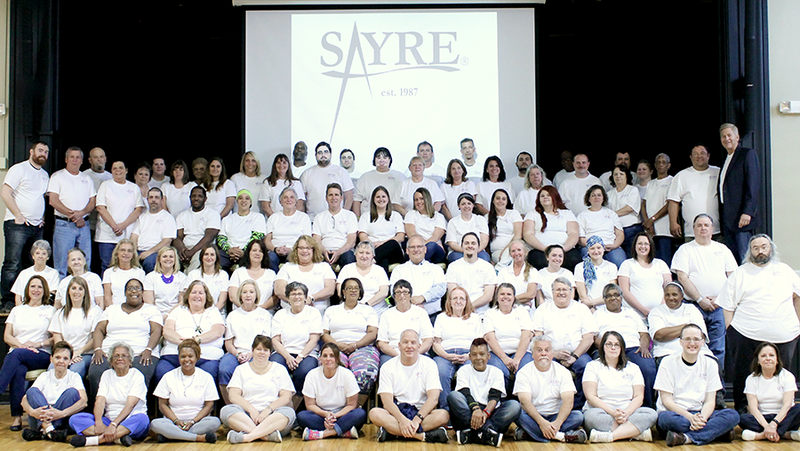 Sayre Enterprises is a trusted name in American manufacturing. Women, Veterans, and our team members with disabilities play a big role in our success as well. Together we supply quality products and services with prompt delivery. We guarantee the same superior quality to you that we have provided to the United States Armed Forces worldwide for over 30 years. Sayre continues to innovate, seek out new products, and offer the latest generation of high performance solutions to our high performance customers. We invite you to enjoy this site and ask you please contact us with any questions.